Quail raised with no antibiotics or hormones, in open barns, and humane, stress-free conditions. 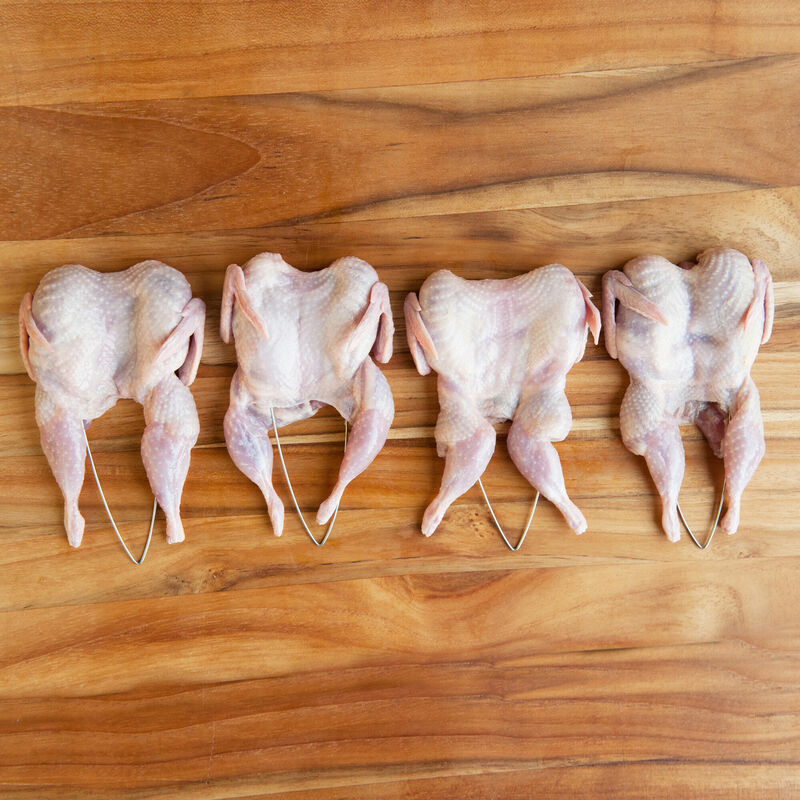 A wholesome grain diet contributes to the high quality and great flavor of these birds. Lean quail meat is darker and more flavorful than chicken and is a versatile favorite among chefs and home cooks. Our mission is to find farmers that share our vision of a more humane and sustainable way of rearing livestock. We respect our place in the food chain and see farmers as true stewards of the land and environment. This is why we build real relationships with our farmers and work only with those who respect nature and focus on the best animal welfare practices. Our quail come from a second-generation family-owned farm that raises the Pharaoh, also called the Coturnix, breed of this delicate little game bird. Coturnix breed quail offer a richer flavor and higher moisture content than the more common Bobwhite breed. The farm places great emphasis on humane and stress-free conditions for the quail, raising them in spacious, open barns. The birds eat a natural and wholesome grain diet of pesticide-free corn and soybeans. There are never any hormones, growth stimulants or antibiotics used.